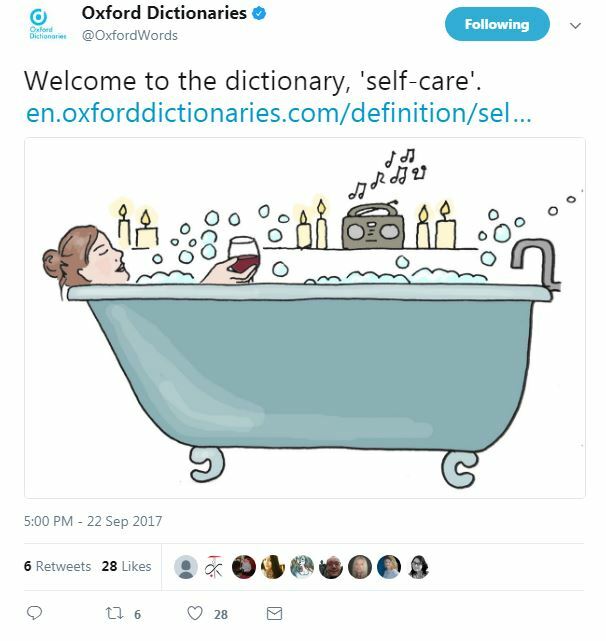 Oxford Dictionaries has added self-care to the dictionary. Defined as the practice of taking action to preserve or improve one’s own health or the practice of taking an active role in protecting one’s own well-being and happiness, in particular during periods of stress, self-care is now a defined part of the English language! You can read the definition of self-care here.